Aquaculture can affect the environment in a number of ways, including organic enrichment around the farm, increased dissolved nutrients or chemicals in 1he growing area, escapees affecting native species, loss of habitat and loss of amenity. Likewise, the environment can affect aquaculture, through poor water quality (e.g. pollutants, high particulate matter), predators and nuisances species such as jellyfish or seals, or changing climate regimes. These impacts can be reduced by careful site selection, to provide the appropriate conditions for the species being cultured, and good farm management. New technologies are assisting in minimising these environmental impacts. Recent developments in remote sensing and seabed mapping have improved site selection. Monitoring and assessment of the environment around aquaculture farms is becoming more ommon, and this is also being supported by new technology. A range of probes is now available that can be used in the field to provide an immediate measure or placed in situ to continuously monitor environmental conditions. Other advances include the use of visual techniques with digital cameras and remotely operated or autonomous underwater vehicles. Computing capability and mathematical models are also becoming increasingly important to management, both for determining carrying capacity of growing areas and for prediction of impacts. These models are becoming increasingly sophisticated and are capable of linking across different temporal and spatial scales and across trophic levels and incorporating social and economic parameters. 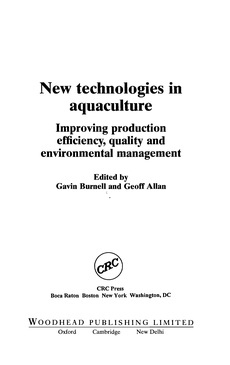 aquaculture, environmental impact, environmental monitoring, carrying capacity, site selection.